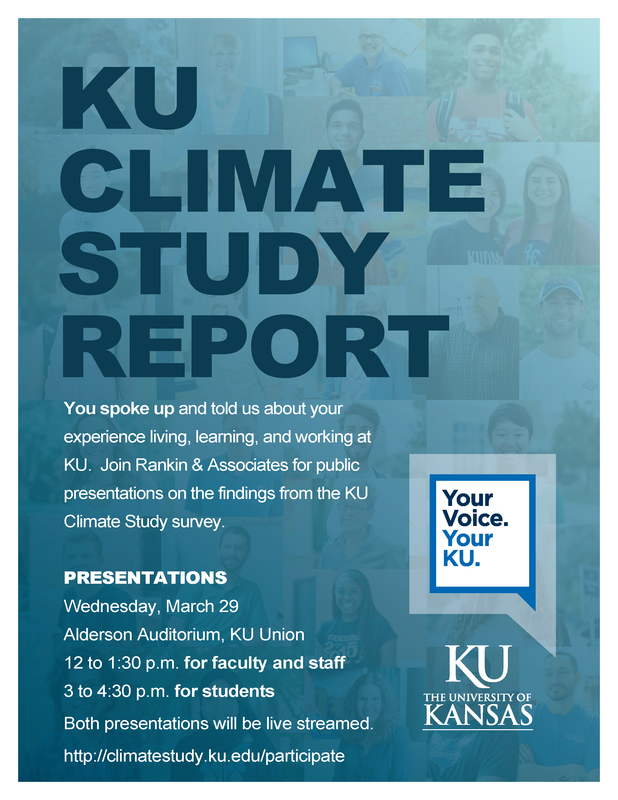 A KU working group first identified a need to conduct a climate survey in 2014. Since then, KU has brought together a broad cross section of students, staff and faculty who represent of all of the university's campuses. This steering committee identified and hired Rankin and Associates Consulting to lead the campus climate survey. Rankin and Associates has met with the steering committee and will returned several times in spring 2016. 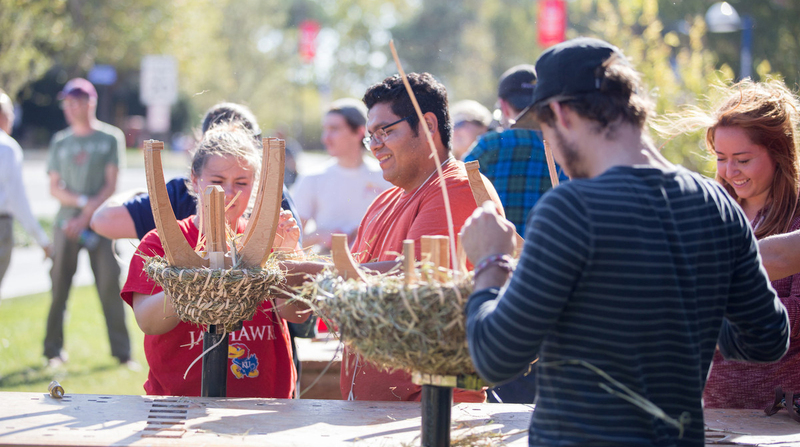 They conducted small group conversations with KU staff, students and faculty. This summer, they worked with the steering committee to finish the survey and submit it for review through the Institutional Review Board, a standard process in research projects to ensure ethical considerations are met. 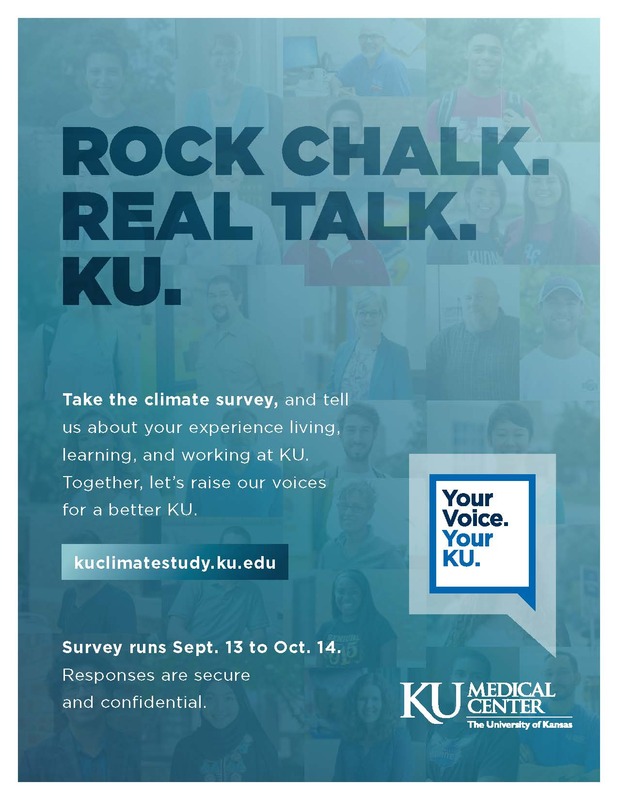 The survey opened on Sept. 13 and ran until Oct. 14. Data is currently being analyzed and reports will be drafted and shared in Spring of 2017. Thank you for learning more about the Climate Study unit-level reports. They can be found online here.